In retrospect, the Stargate SG-1 Season Three Minicaps should have booked its interplanetary travel at Hotels.com. Now captives of Apophis, the resurrected baddie is using that memory extractor Carter has on the team to ensure an release from Sokar. So the team has to fight terrifying dreams to protect what they know from being revealed, and maybe, escape. Meanwhile, Sokar is planning to just lay waste to the prisoners, and Teal’c and the Tok’ra plan to just blow up the planet with the team on it. This is a really twist filled conclusion to this two-parter, setting up Apophis as the Big Bad of the series again. –So Sokar gets blown up along with everyone on that prison planet. Although I would think that moon exploding would cause some serious gravitational problems for Sokar’s base planet nearby. –Apophis’ face is starting to improve after looking like warmed over death from last we saw it. And now he has command of Sokar’s army, which is probably worse news for SG-1. –A nice twist in Martouk selling that false information about the Tok’ra to Apophis while in that delirium, and said info being completely useless where Sokar hears it. –Nice of that Tok’ra guy after dropping that planet-killing bomb helping Teal’c find a way to retrieve SG-1 and company at the last minute. And all while locked in a storage room. The team comes back from an extended trip to find things at SGC are slightly off. 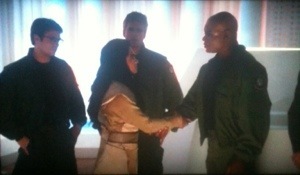 Only Sam and Teal’c become aware that something bizarre is going on, namely an alien invasion. The key personnel are being subdued and replaced with aliens masquerading as them. So both of them are left (along with a surprising assist from Maybourne) to keep this doppelgänger invasion from spreading beyond the SGC compound. 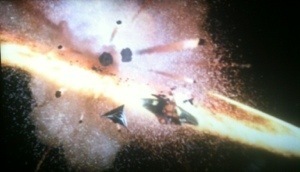 –The aliens blow themselves up rather than be taken captive. Of course we’re left with more questions after this episode, like what was their grand scheme for invading Earth and if the ones who escaped were blown up too? I’m honestly trying to remember if we see these guys again, or their this season’s Reetou (see season 2 for that to make sense). –Despite the amount of time these aliens have been there, you’d think they would check if those human weapons could kill them. Spoilers: they do. –I’m not even going to guess how filming with those alien harnesses for the subdued SGC people (the ones that make them seem to be in a giant baby playset) was like. –So Maybourne kind of does right by the SGC for once. Heck, even O’Neill grudgingly admits that. The Tollans from season one drop by the SGC with some big news: Skaara/Klorel has crash-landed on their new home. That also comes with other big news: he’s about to be tried in the Tollan version of The People’s Court, with SG-1 being the defense, Heru-ur as the prosecution, and the Nox being the judge. The case: whether or not Skaara will be separated from his symbiote. 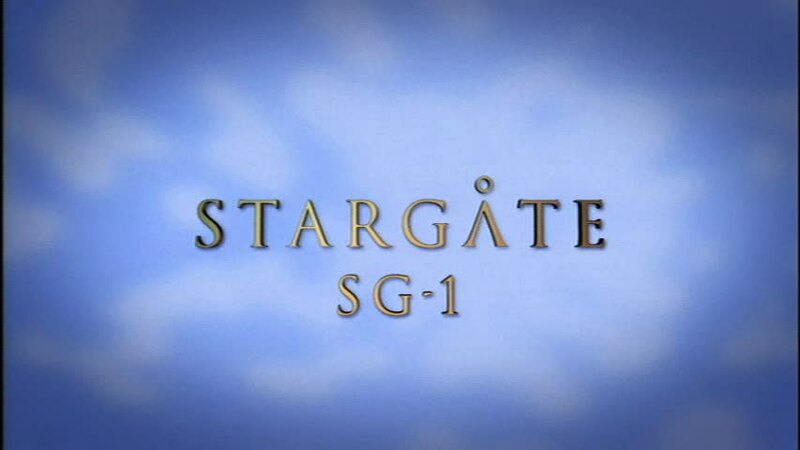 Because of course SG-1 is involved, there are complications. –In a “wait, is that ___” moment, its Kevin Durand (who I recall as the baddie from season four of Lost) as Heru-ur’s representative, Zipacna. And man, speaking of that bad guy this episode, his hat is just bananas. –Love how throwaway that info about how those lost Tollans were taken back to their home world by the Nox. “Oh yeah, we both figured it out, because we’re smarter than you”. –Good news for Skaara in getting that symbiote removed and still being alive after it. 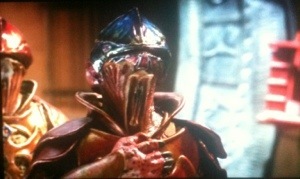 At least someone taken by the Goa’uld from the series’ beginning gets a happy ending. –So yeah, the Tollans won’t share that planetary defense grid tech with SG-1, even after the planet is saved from that Goa’uld strike force, because its against their beliefs. Yeah, right. SG-1 loses track of time after a seemingly innocuous mission, and returns…slightly ecstatic about eating. And then they start seeing the same person, Urgo, who is collecting sensory experiences from the team. The team struggle to find a way to remove Urgo from their brains, along with trying to maintain their sanity. This turned out to be a nice fun episode to end this round of minicaps on. Greatest tragedy of this episode: no Dom DeLuise end credits blooper reel. Well, one can dream. –So, its comic actor Dom DeLuise as the titular character here and his creator Togar, and if you’ve been paying attention to the credits of the show, you’ll know his son, Peter, directed this episode, some earlier ones, and more in the future. 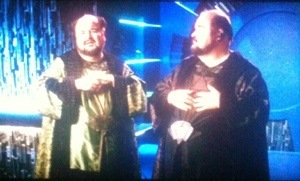 Another member or two of the DeLuise clan will pop up in SG-1’s run before long. –So Togar gets the apparently alive Urgo implanted into him, which seems…um, maybe “pleasant” is too strong a word. –Watching the SGC supporting cast respond to this weird behavior on the team’s part was worth a few incredulous laughs. NEXT TIME: An asteroid strike strands the team on a planet in “A Hundred Days”, O’Neill’s erratic behavior puts him under suspicion in “Shades of Grey”, the SGC is threatened by a planet’s civil war in “New Ground”, and Daniel races to find the Harsesis child before Apophis does in “Maternal Instinct”. ← Avengers assembled! And kicked a little a$$!